Help Us to Fund 20 Eco-Libraries in Indonesia! The total raised through this campaign was $4696. We ran into some unexpected technical difficulties, but everything is resolved now and we're ready to push ahead. We greatly appreciate your understanding and thank you all for your support of Eco-Libraries! We're really excited to move forward with this great project. Education is key, environmental awareness critical! Did you get books under your Christmas tree? Did you have some school getaways in the Nature, learning how the ecosystem works, and your teacher or parents educating you about rubbish bins and recycling? If so, you were luckier than the 85 millions of Indonesian children growing up without any environmental education and reading culture. Let's work together to raise a total of 4500 USD to create 20 eco-libraries. We at green-books.org, a not-for-profit organisation, are initiating Eco-Libraries across Indonesia and promoting education for sustainable living. We strive to make children fall in love with Earth through environmental awareness events, games and activities, printed/audio-visual materials. Above all, we establish children’s Eco-libraries and distribute fun-to-read children’s books about Nature in Indonesian language. Over the last 2 years since we started, we have already initiated 25 Eco-Libraries, but now we need your help to create new ones. Please help us to plant the seeds of environmental awareness in the communities throughout Indonesia by funding more books about Nature! We need at least USD 4,500 to reach a 30% discount from the publisher. This will help us to fund for a total of around 1000 books for new 20 Eco-Libraries!!! Indonesia is a diverse archipelago that abounds in unique natural treasures – active volcanoes, rainforests, coral reefs, glaciers, minerals, areas with amazing biodiversity both in sea and on land. Unfortunately, every day we are witnessing how Indonesia’s nature is confronted with a developing economy driven to meet the world’s demand on wood, mineral, fish and palm products, as well as the growing needs of its 250 million population. 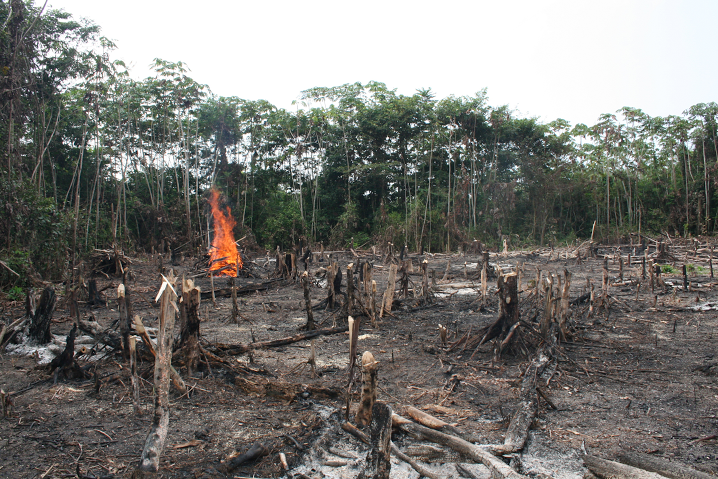 The recent terrible fires that have killed many people and destroyed the habitat of endangered species such as the orang-utans is the latest of those tragedies. The problem is that most of the 85 millions Indonesian children are growing up without environmental education… While if we often say that education is a key for the kids to create their professional future, we often forget to the importance to educate them on how to preserve their living environment without which a good job is of no use. At green-books.org, we like to say that by providing books about Nature we “plant a seed of environmental awareness" in the communities. By nourishing that seed with eco-educational games and activities, we hope that the seed will grow into the "tree of environmental consciousness" that will benefit the community and its environment. 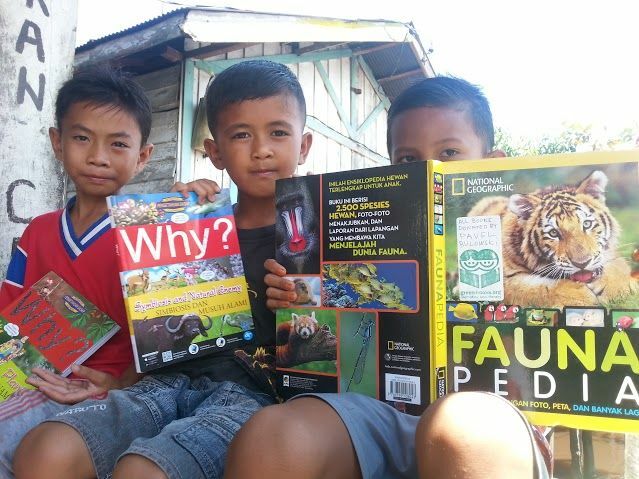 Children exposed to amazing fun-to-read books in Indonesian language, games and activities get a full understanding of how our environment behaves, how all the elements of nature are interconnected and how our lifestyles impact them. Our goal is for them to understand better their place in this world, and hope that they will embrace sustainable lifestyles. Help us to spread Eco-Literacy! green-books.org promotes “Ecological literacy”, the ability to understand the natural systems that make life on earth possible. An ecologically literate society would be a sustainable society which doesn't destroy the natural environment on which they depend. Therefore in short, we promote education for sustainable living. Ecological literacy is a powerful concept as it creates a foundation for an integrated approach to environmental problems. All the funds will be dedicated to the purchase of books and shipping. That is why we have a limited amount of tangible rewards. If we manage to go over our initial goal, we will be able to fund some operational costs that are for the moment funded through our private funds. Hand stamped tote bag and custom postcard pictured below. Please help us raise the funds we need to get kids some books that might change their life! 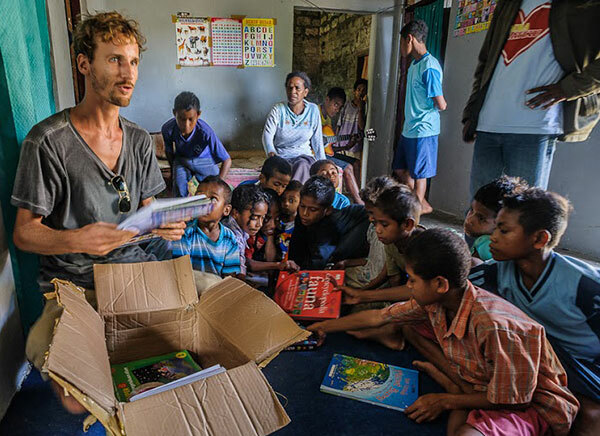 green-books.org is a non-profit organization founded in Prague in 2013 by Petr Hindrich, Tomas Jirsa and Martin Pokorny, Czech citizens living around Indonesia for past 10 years. 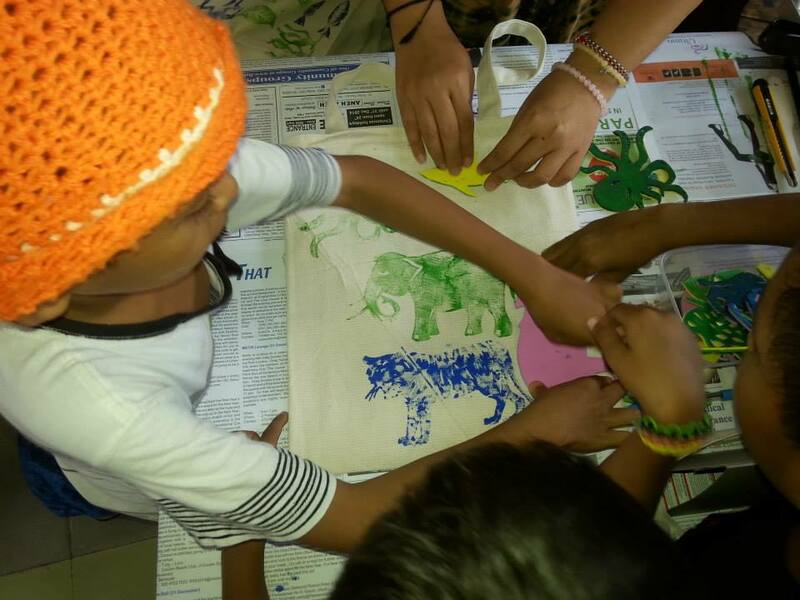 Assisted by a bunch of passionate local and international volunteers, we establish children community Eco-Libraries and provide books about animals, plants, environment and implement environmental awareness games and activities. Please visit our website http://green-books.org/what-we-do/about-us/ for more information about us and the team! If we reach our tipping point of 2000 USD, we will be able to fund 8 libraries. Not close to the 20 we were aiming for, but what a success already! Of course since we have not reached our goal, we will not get the 30% discount from the publisher, but we still can get a lot of books! Around 400 actually! We have 40 Eco-libraries applications and we receive about 2 per week! So 20 libraries are not even enough! Still, if we reach our goal, so many children will be reading about how they can act to protect their living environment as the publisher of the books will give us an amazing 30% discount on our bulk purchase of books. 1000 books! that's a big one for Indonesia and its children. 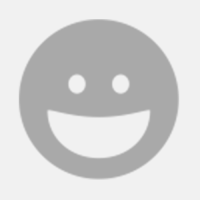 Become a proud supporter of the green-books.org’s cause. We will thank you on our Facebook and website. Of course you will get a big "thank you" on our social media. Besides that you can become the proud sponsor of fun-to-read comic storybook about Nature, from the "Why?" or "Science Up" series. Besides a big "thank you" you can become the proud sponsor of colourful encyclopedia of environmental knowledge published by National Geographic. On top of being a sponsor of a few books, you will receive your very own postcard from Bali, hand written by the green-book.org's team. Sponsor a set of storybooks! Make your name a legacy! That level of reward will make you the proud sponsor of an entire Eco-Library! Around 50 amazing books that will make kids fall in love with Nature! And of course tote bag and postcard will be also yours and we will talk to you on Skype.